You cook, clean, take care of the kids. You go to work and juggle all of the demands that come with your job and still find time to make your family feel important. At the end of the day who is taking care of you? Yes, I said it right. Who is taking care of you, mommy? You can only give so much of yourself before you eventually have nothing left to give. This is why it is important to make sure you are refilled on a consistent basis. Never taking care of yourself leads to resentment, burn out, or making a wrong decision that can cause you to spiral out of control. Trust me. I know. Hey. 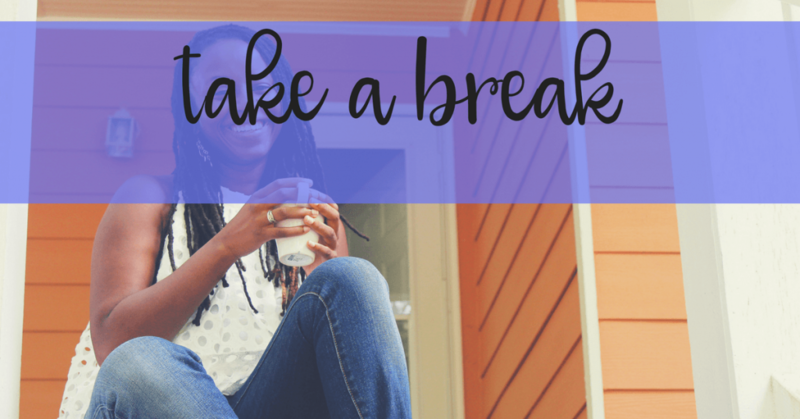 Give yourself a break every now and then. You deserve it. 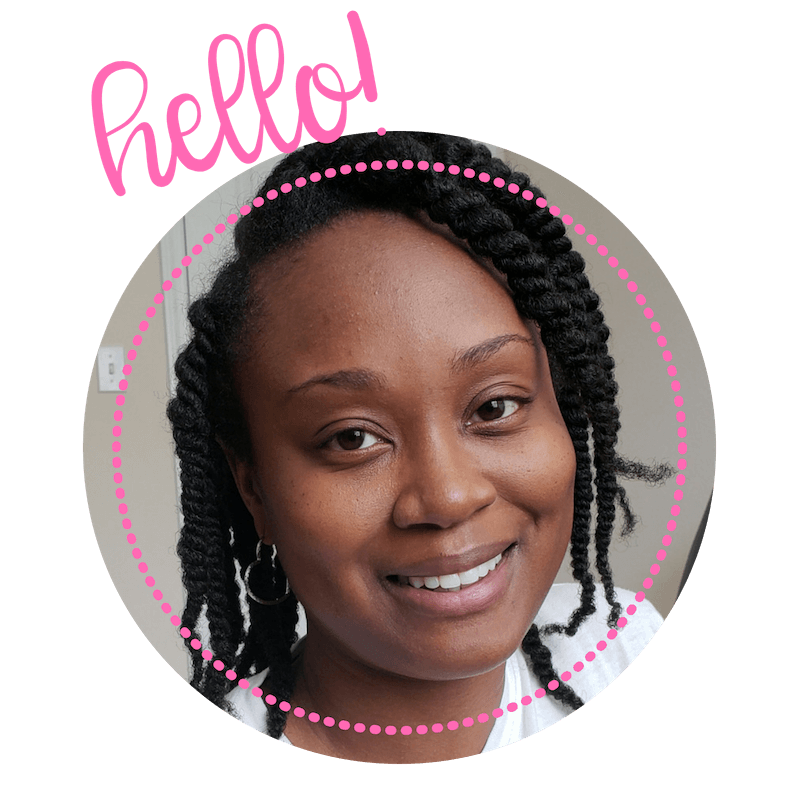 I read this blog post by Kimberly at Cherished Wives that is a great resource for self care ideas for moms. She explains in the post that we have four cups. Our mental, emotional, physical and spiritual cups that we have to make sure stay full. Instead of trying to keep all four cups full everyday. Focus on one or two at a day. It really doesn’t have to be complicated. 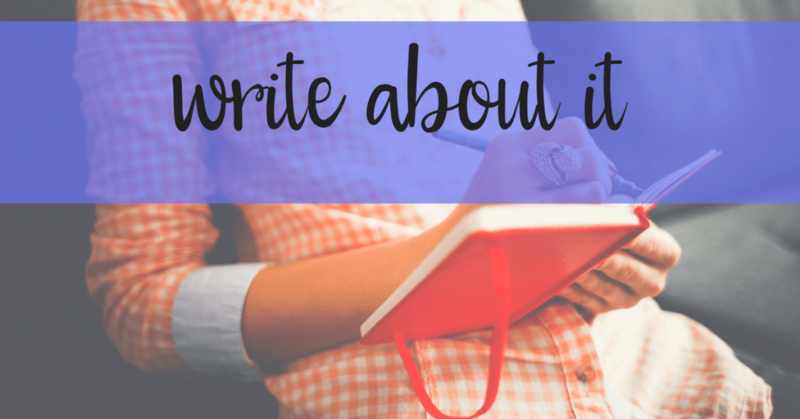 It could be as simple as writing in your journal when you wake up before everyone in the house does every other day. Then repeating affirmations after completing a few minutes of yoga before bed. Practicing daily self care will make you a better woman and a better mother. Need more ideas? 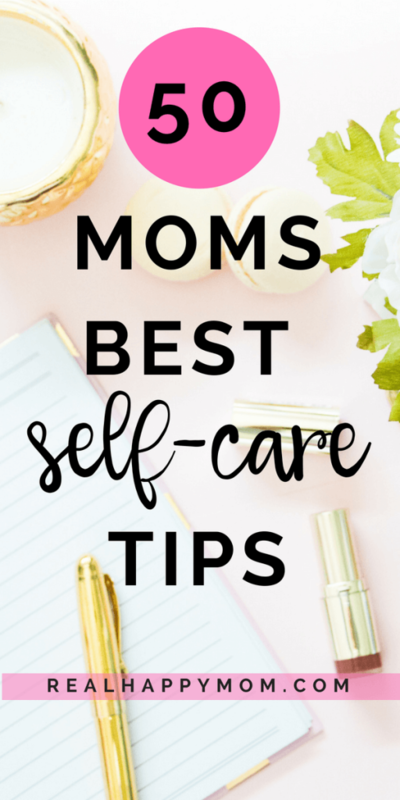 Check out these self care ideas for moms by 50 awesome moms. Want to skip ahead? Browse through the topics below. 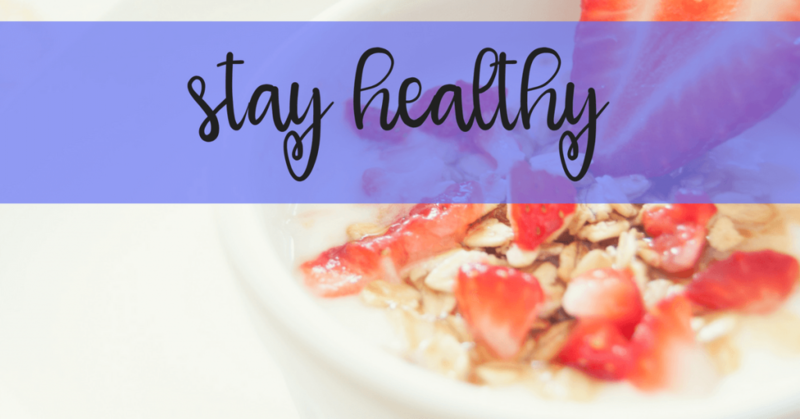 My favorite form of self-care is daily detox! Having lyme disease, I get bogged down with toxins and get sick very easily. I enjoy a 45 minute sauna session almost every day to manage my health! I have a hard time falling asleep at night. Winding down for me has always been difficult. I find getting up and making tea, very specifically a mix of Sleepy Time and Peppermint really do the trick. I need my sleep and this seems to help. One of the best things I’ve done for myself as a mom is to take a step back and do less things. By cutting things out of my schedule that felt overwhelming, I have been able to be a better mom and spend more quality time with my kids. Sometimes you have to take a step back and do less. I try to cover each area of self care, but I’m far from perfect! I’m working on keeping up with doctors’ visits, staying hydrated, and getting exercise. Once a week I give myself an at-home spa night, and that has been heavenly! Besides caring for my body through a high plant food diet and regular exercise, I enjoy reading, long detox baths, journaling and meditation. Typically, if I want to do any of these things (even just one! ), I have to schedule it into my week. I love to curl up with a book whilst listening to my favourite playlist. I also have a list of things that make me happy. Doing something from this list every single day really helps me build some self-care into my daily routine. Scheduled Girls Night Out! This is where my close friends and I took turns watching the kids so most of us could be together when we went out. I have appointments with my shows. 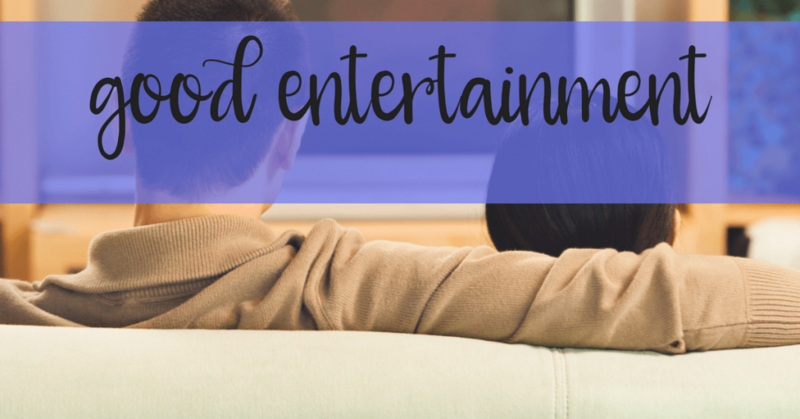 I have several shows that I watch, and they’re just a great relaxing escape from everyday life. It also allows me to get some introverted recharging time. I love to read for pleasure & try make time for it weekly. It relaxes me & my ever-running mind. I also make a point to take a bath every week, getting the kids very tired that day and to bed early. Then I head into the bath for some quiet time. My husband and I have been in a season of life where we are the only ones who can care for our daughters. Instead of going out, we get take out and stream a movie off of VUDU. We also take 10 minute respite breaks. I drop off my toddler at my parent’s place once a week so that I can catch up with a couple of friends or do some shopping. My girl loves being at her grandparents’ house, my parents are more than happy to spend time with her, and I get some me time. Sometimes self-care looks like bubble bath, face mask and quiet time. Me Time! My fav nightly routine is a bubble bath, face mask, & cup of tea. However, I’ve also found that having mom friends and a monthly night out is vital for my sanity. I listen to audiobooks on my commute – not work-related podcasts but fiction reads that I want to enjoy on my own time. I don’t have as much time to sit and read anymore, so listening while I drive is my self-care. I like to eat lunch alone, drive with the music all the way up and work out. Self care is very important to me personally and as a mom! I try to do at least one thing each day that fills me up, depending on my mood, how much time I have and what life throws at me. Exercise and reading are my faves. I try to keep it simple! My most valuable self-care strategy is journaling. Old-fashioned, cursive writing, pen to paper. There’s connections between handwriting and the brain, that aren’t the same as typing in a digital format. Kat | Virtual, At Last! Get a massage at least once a week. I also like to journal about my day. I set daily goals and keep track of my habits. Every single day I get up and set my intentions, meditate and journal. I have recently started a bullet journal, and in addition to tracking lists and my schedule, I also take time to journal my affirmations, gratitudes, and dreams. Having it all in one place makes it easy to incorporate! Taking care of myself is not easy. I’ll be honest. I have 5 children…enough said! I get up at 5am and go to the gym. I take care of me first. That has made all the difference in the world. Working out keeps me sane. I take time to move my body everyday. It is the best way for me to feel energized and it keeps my mind clear. 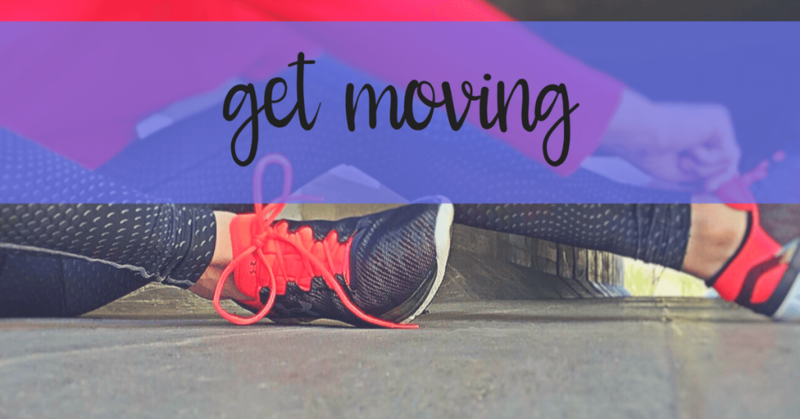 Some days I will take a quick walk or do a short workout video to get some movement in. I do yoga for self care. I found that the yogic breathing and stretching grounded me and helped me naturally cope with my PPA and PPD. I now teach a class twice a week called Baby+Me, which helps Momma’s reconnect with their body and breath. Getting in a quick workout has been an essential part of my return to self-care. Neglecting my health only lead to increased stress & anxiety. I use a method called Tabata for 20 minute workouts throughout the week and it has made a huge difference. I make sure to take time to do a 30 minute workout 5-6x a week. Since it’s a short workout, the kids have gotten used to our routine where they play (and climb all over me!) and I workout! Self-care also includes your physical health. A quick workout a few times a week can make a huge difference! I workout. This may not be as simple for new moms. But, meditation and exercise helps me maintain clarity throughout my work week for myself and being present with my family. 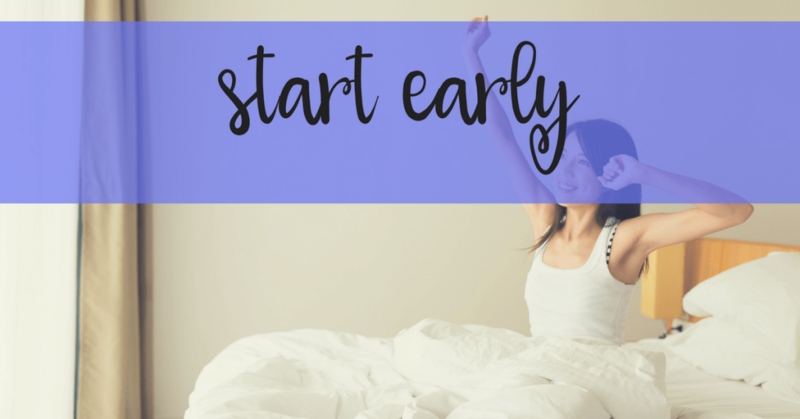 I have to do it the first thing in the morning before I get involved with my day; whether it be going to the gym, taking a walk with my dog or giving myself permission to sleep in once a week on the weekends! I love to go outside for a walk, breath in the fresh air and take in my surroundings. I try to notice the little things and find that taking a few minutes to stop and notice the rest of the world can be really restorative and relaxing. With young children at home it can be so hard to incorporate self care and time alone. A few years ago I subscribed to an online yoga program that I can use whenever I’m able. I love that I can take my favorite yoga classes anytime anywhere. For me, self-care is so important! I do little things all week to take care of me such as a face mask, reading my book, doing my nails or taking a bubble bath. Each day I try to do one thing that makes me feel good! I recently started wearing make up again after stopping when my 9 month old was born. It’s such a small thing (BB cream and a little mascara, mostly), but it makes me feel put together even when I’m wearing leggings and an old sweatshirt! I put aside time every week to allow myself a DIY facial with a charcoal mask. I take time to do my nails as well. I developed high blood pressure after being laid off for almost a year and not giving myself any downtime while looking for a job. The thing I like the most is my weekly feet spa. On Saturdays I wait until hubby and baby are asleep, I fill a plastic tub with warm water, I then soak my feet with salts and oils for 15 minutes, exfoliate with a special cream, and lay down to rest! Taking care of the way you look can instantly improve your mood and the way you feel about yourself. My self care time is dedicating time towards taking care of my skin. I usually set about 20 minutes aside for me time, which is so therapeutic. I usually set that time aside for the morning, and right before bed or just right after a shower. Essential Oils (diffuse during the day to decrease stress), a date night with myself 1-2x per week where I take a salt bath then relax in bed, nightly skincare routine, reading a devotional am or pm, working out when I can. I just recently started taking care of myself this year, after being pregnant and nursing 3 kids for the last six years. I wake up every morning before my children to pray and read my bible, exercise, shower and actually do my make up. I schedule a mani/pedi every 2 to 3 weeks. 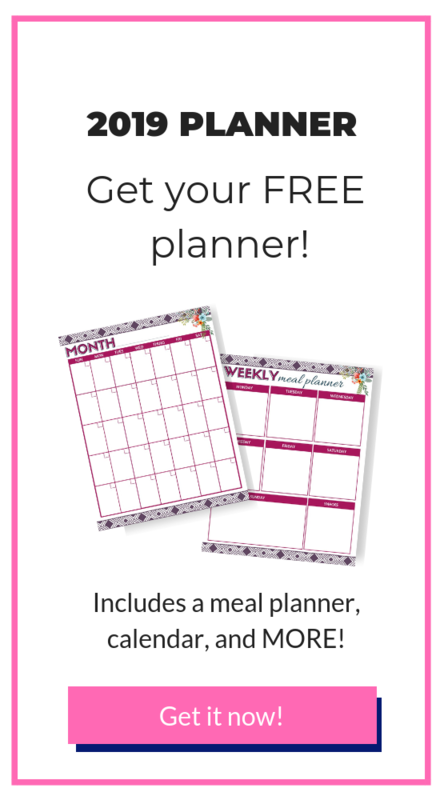 It is scheduled in my planner and I have a line item for it in my budget. I also try to schedule a massage once a quarter. 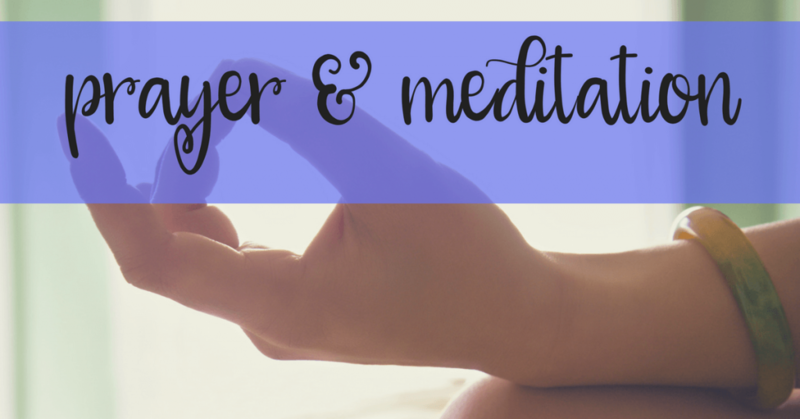 Three to four times per week I try to do yoga or meditate alone in my bedroom. It helps me ground my energy and focus on my own needs. I also spend time listening to music to put myself in a better mood if I’m feeling down. I am a HUGE fan of meditation and take time for it several days a week. It helps so much to clear my mind and focus on what is important. I talk about self-care like it is going out of style because it’s so important. I do “self-care” daily! Every morning for about an hour I read, journal, pray and drink my coffee in complete silence. This lights me up. When I’m really tired, I ask my husband to take care of our toddler so I can take a nap. I accept I’m no superwoman. To take care of myself spiritually and mentally, I have positive affirmation and a gratitude journal. Don't forget to take care of yourself mentally and spiritually. I do yoga & meditate daily and I like to make things with my hands, ie knit, needlepoint and work with leather. I try to work on my projects in any spare time that I have. Daily prayer is the most important thing I do. I love to sweep my floors and silently surrender my burdens and offer thanks for my many blessings. Even the most mundane tasks at home are sacred when my heart is open so the light can get in. I always make sure to check in with myself every day and stay present with how I’m feeling. 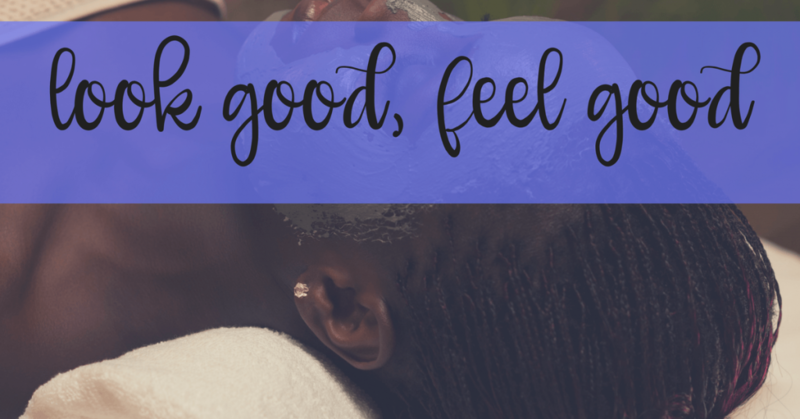 If I notice myself feeling grumpy, impatient, or tired, I know that it’s time for some self-care. My #1 go-to is a nice hot bath with epsom salts and a book. No alarms on weekends, with zero guilt. I don’t sleep well, so that’s the ultimate gift I can give myself. I also have a daily smoothie for breakfast, and incorporate as much vegetables into my day as I can, as I know my body needs them. It’s the smaller things in life that will save you. The promise of a hot cuppa every morning and a night off once a week. It’s a life saver. I grant myself permission to enjoy a cuppa every morning to start my day off right, trust me it worth it. My toddlers usually don’t sleep throughout the night. Even when they do. I wake up often to check up on them. One thing that I need to do for my self-care is to catch up on my sleep two to three times a week for an hour or so. I nap when they nap. With a preschooler and an infant, I barely find time to even eat, let alone exercise regularly or pamper myself. I know that’ll change. So for now I take tiny breaks, 5 precious minutes, to take a deep breath and reset my day. Self-care in my world is a difficult. In my day to day I try to do something mindful, even if it is something as simple as washing my hands. Making an effort to do one mindful thing daily can bring me from chaos to clarity in a few minutes. I try to take a hot bath at least once a week…..I shut my phone off and sit in my silent bathroom and I absolutely love it. I do this either at nap time or late at night after every-one is in bed. I always feel so much better afterwards! Self care for me looks like waking up before my four kiddos and hubby. I start my day around 4 AM, which allows me some much needed quiet time, time to meditate and journal before the day gets ahead of me. My youngest is an early riser, so I’m not always successful, but I wake up 30 minutes earlier every morning. I do this so that I have time for myself, whether that means getting something done, eating breakfast sitting down, or watching a T.V. show. My daily self care is simple- I like to get up by myself in the morning and enjoy my coffee alone. The mornings where that ends up happening make for the best days! During the week I try to get out of the house once or twice with my mama tribe! Thank you to all of the mothers that contributed to this amazing post! 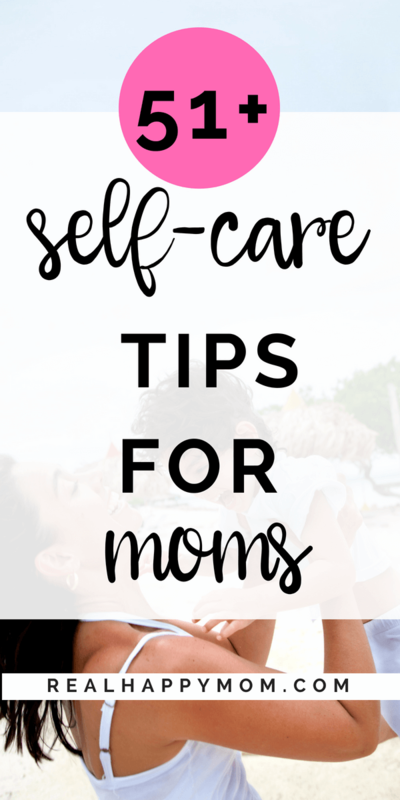 These self care ideas for moms would not be possible without the contributions these amazing moms. What do you like to do for self care? Let me know in the comments. I would love for you to share your self care ideas for moms. This is a great list. I really have to start working on some of these, especially taking a break. My self-care routine as of now includes getting up early, prayer, meditation and working out when time permits. Thank you for putting this list together — us mama really need it. Thanks, Britt! You have a nice self-care routine. My only problem is being consistent and following through with my routine every day. I am glad that you found this list useful. I was so happy to be a part of this post. Great advice and reminder to us moms to give ourselves grace and time. I am happy for your contribution to this post! You are totally right. We do need to give ourselves grace and time. Thanks again! Thank you!! I am glad to have you and these other amazing women apart of this post. Thank you again!